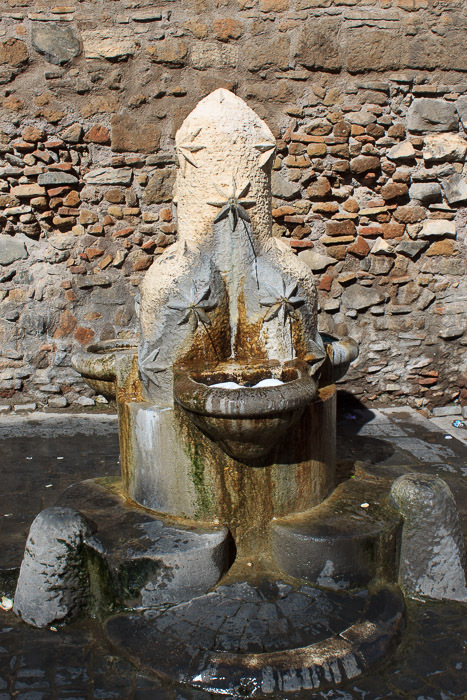 Built in 1927 by Pietro Lombardi to express the history of the Monti district, this small fountain has three mountains representing the Esquiline, the Caelian and the Vinimal Hills. The hills have stars superimposed from which water flows and falls into trays below. Pietro Lombardi was commissioned by the city to build 9 other fountains representing other districts, including the Fountain of the Pine Cone and the Fountain of the Tiaras. See all Fontana dei Monti photos.